Geox Geox Asheely Bootie (Women) | Nordstrom: Geox is an Italian brand of footwear that's generally good quality and comfortable. These haute hiking boots are not leather, but very sturdy. Fun with olive pants. Comes in burgundy. Madewell Madewell Stripe Turtleneck Sweatshirt | Nordstrom: Earthy Sweatshirt Fabness. When did you last see a cinnamon-coloured sweatshirt? I can't recall. Fluid, tailored at the welt, good on a short waist, and nicely made. Boden Muriel Sweater: Fit is perfectly fluid, JUST like how you see it on the model in the striped version. Very good structure on the neckline, shoulders, upper arms, cuffs and welt - which makes all the difference. I do not think it runs big if you want it to fit fluidly LIKE THE MODEL. 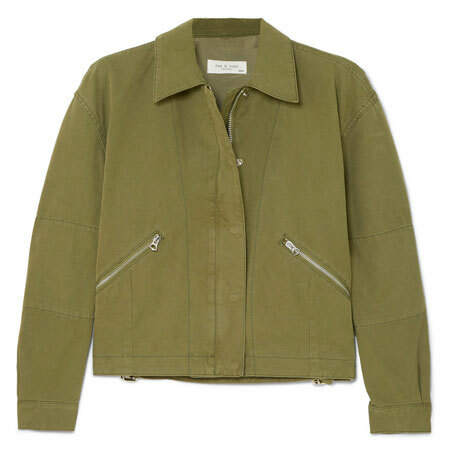 You need long arms to wear the style because the blouson silhouette can overwhelm. Soft and not too thick, and with a neat and tidy neckline. Works on a range of bust sizes. The stripe is bold. Not good on petites unless you have regular proportions up top. Read the rave reviews. 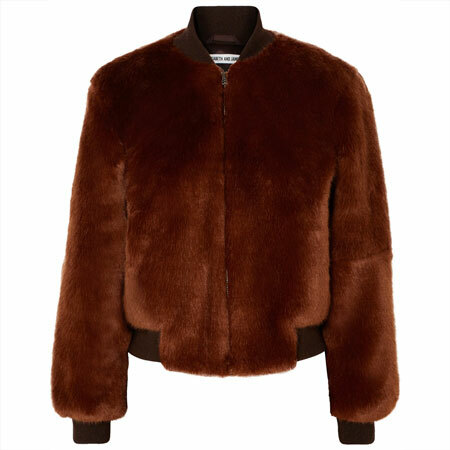 Karen Millen Faux Fur Colourblock Jacket: A little daytime '70s Disco for 2018. Luxe and cuddly. Great quality. NOT streamlining, but very dramatic, on-trend, and packs a punch. The short length gives it some structure. DvF DVF Stripe Faux Fur Jacket | Nordstrom: An unusual colour combination in a unique vertical stripe, which reminds me a little of a school blazer. Wildly '70s with a modern touch. Bulky, yet super soft and cosy. Nice over midi dresses. VAGABOND SHOEMAKERS Vagabond Mya Side Stripe Bootie (Women) | Nordstrom: I haven't seen these booties in person yet but the red stripe caught my eye. Better than basic, and could look fun with an all-black outfit. 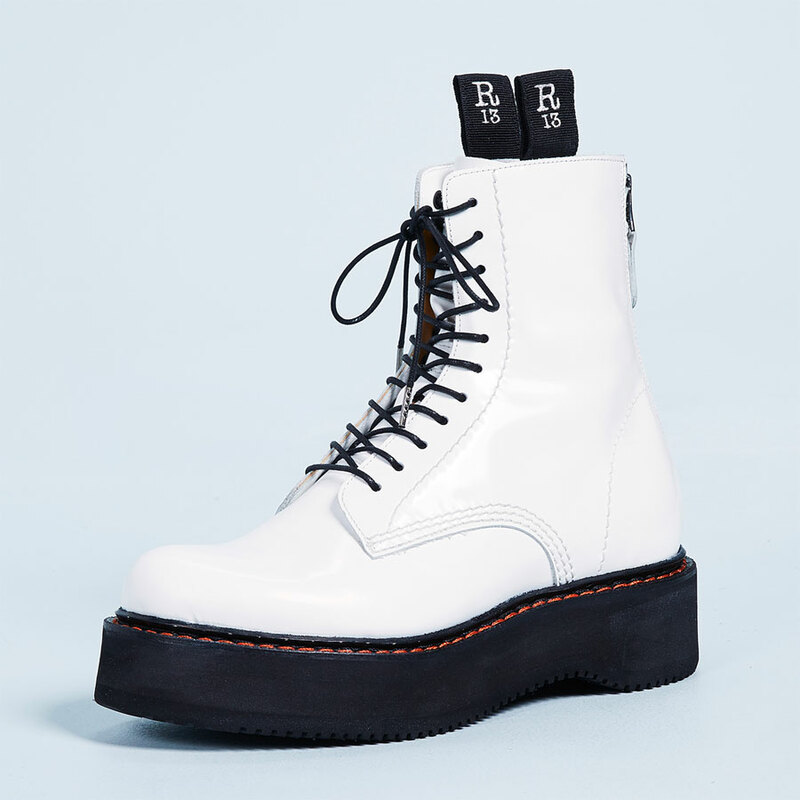 PIKOLINOS PIKOLINOS Vicar Boot (Women) | Nordstrom: Tough boots with a sporty stripe. A little Punk, a little Prep, a little Rock 'n Roll, and a whole lot of comfort. Spanish boots that work on a variety of foot shapes. Pam & Gela Pam & Gela Stripe Scuba Knit Track Pants | Nordstrom: '70s Sporty Fabness. Best on a straighter body type. 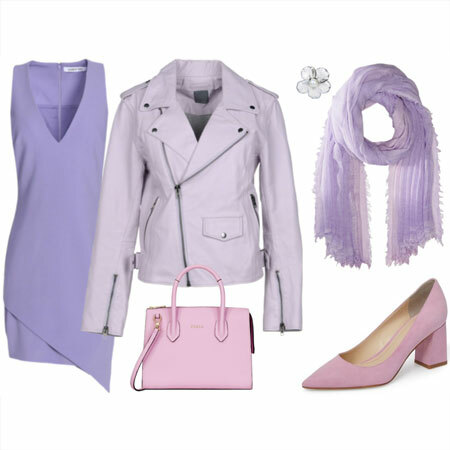 Create a fun juxtaposition with a dressy support act. CeCe Bow Detail Striped Cotton Sweater | Nordstrom: Fab pullover for a curvy top half. Good striped top for a larger bust because of the gently scooped neckline. Not super soft, but not itchy at all. So many gorgeous choices! I am swooning over the DVF faux fur jacket and Boden knitwear. The red Boden dress is a serious contender for my birthday present to myself this fall. P.S. Tanya, I love the Boden dress for you!! Tanya, this would be amazing on you, a great contender for a birthday present. Yes, stripes come in many versions and can be fun as well as elegant. It’s a great collection you are showing here. The dress is stunning. By the way, yesterday I bought a fun pair of striped socks. THAT STRIPED JACKET IS SOOOOOO ADORABLE! This collection brought a smile to my face. The Boden Claudia caught my eye- seriously considering it in the blue with black and mustard stripes. And, I bought the Halogen tee a few weeks ago- spur of the moment purchase to wear with the navy tulle skirt from NAS and a silver velvet jacket- so much fun, and a great layering top. About to take the plunge on the Anthro jeans, too- just trying to figure out footwear. Would low booties work for fall/winter? Oh, I love that DVF jacket, but just cannot justify that. Those colors — LOVE. The long Veronica Beard-ish jacket is also really appealing to me, but I already have bought a long jacket AND a detachable hood jacket this season so really can’t justify more. I’ll console myself with the knowledge that those pockets at the hip would probably do me no favors anyway. Those Geox boots are cool too — it’s maybe a good thing that my preferred size and color seems to not be available. I do love a stripe so this is just so tempting.l already have the Boden roll neck in red from last year and. I agree that it is very comfortable and useful,maybe I need a striped one to keep it company! Loving the Boden sweaters, made all the more compelling by the precise descriptions of fit and fabric. Thanks! Oh the Boden Claudia Dress is beautiful! I can do those stripes. I am loving all the boots with stripe details! 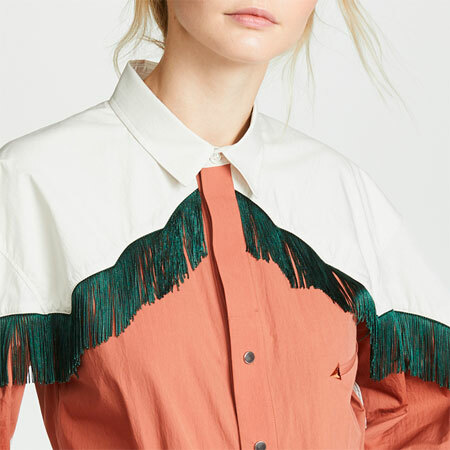 Also very tempted by that halogen blouson sleeve shirt. Love the cinnamon sweatshirt by Madewell. I don’t think I have seen one recently in that colour. My budget line item for clothing might as well just read “boden.” They are on fire lately. I love the Boden jacket and the Boden dress. Boden combines colors in such an interesting way. I have the Boden sweater with striped sleeves, in the colorway with mustard. I wish they had stores I could go to. Oh, Angie, so many beauties here! 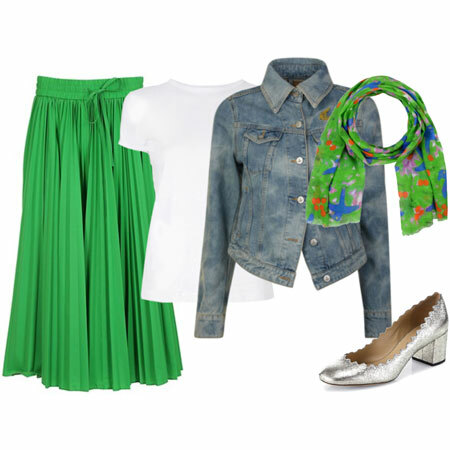 I like the Boden Claudia dress, the Boden puffer and puffer coat, and the Pikolinos booties specially! I have a couple of the short-sleeve versions of the 1901 sweater and I agree that they are really fabulous. Great quality. I may need a long sleeve one too now. The cinnamon sweatshirt is very appealing and I’d like to try it with the Gola sneakers. What Inge and Runcarla said! Lots of love for stripes. YAY. Tanya, your birthday is tomorrow! Like Greg :). Have fun spoiling yourself. Fab frock idea. Linda, I know, right? Stripes make me smile too. Scarlet, HAH. Isn’t the puffer gorgeous. The Cat, hope we see your fun socks. Kathie, YAY. Sounds good. Post your bootie and jeans question on the forum so that I can make a more accurate suggestion. Janet, I thought of you and the hooded coat. You should try it. Cardiff Girl, thanks for the Boden validation. I love my Boden striped items too. Eliza and JAileen, I hope you’re having luck with Boden. Colette, did you see the other colours of the dress? I can see you in it. Diana, I can see you in those items too. Especially the ‘90s boots. Style Fan, and it’s a YUMMY shade of cinnamon. Alecia, agreed. I put almost all my knitwear budget into Boden this season. Dianna, you are Queen Pikolino. Fabulous. Carla, you shan’t be disappointed. (I have the short sleeved Summer versions too). Oooooh, bonnie. Fun pattern mix idea. Such a gorgeous collection of items in my favourite pattern! I’m particularly drawn to knit tops because I need to upgrade my knitwear collection this year and next. Thank you! Loving that Kendall & Kylie coat! Wow, lots to love! The blue stripe oxford catches my eye – I need to replace my blue oxfords. I Love stripes. So many awesome items. I am especially loving the Boden Berwick Sweater. Im not normally a stripe person, but i do like that Boden dress! Normally though, stripes feel too preppy, gamine, whimsical or sporty for me and stick with curvy blendy patterns instead. I am enjoying my purple rib knit skirt though- stripe lite And that red 1901 sweater may be finding its way to me! Angie, yes! I saw the other colors in the Claudia dress but the red is actually my favorite. Though I would wear the black more. Suntiger, YES. Our Topshop ribbed pullovers are "stripe-lite". LOVE my 1901 pullovers. Wearing the navy one now. Colette, that's what I thought. Might have to order both colours. Have just returned from a shopping trip. Tonight I purchased a multicoloured skirt with diagonal stripes! I’m invited to a party with a Mexican theme in November. Ladies are asked to wear colourful clothes and to stick flowers in their hair. I do have flower pins, but few very colourful clothes, and generally mine are solid, not patterned. So I was happy when I found this striped midi skirt on sale. It’s fun, and though I’m not planning to wear it anymore in the cold seasons, I look forward to using it next summer. It can easily be styled with solid tops in any of the colours, including white. OOOOH, The Cat. FUN. I want to see your new skirt. Like Suz, I am eyeing the knit tops as I just edited out at least 5 with some more, mostly dark brown, just waiting until I can find replacements. I love stripes but want to avoid a sporty vibe. Loving all the great stripes! Ooh, my favorite is the Claudia dress! I have it bookmarked in navy. I may have to copy Tanya and buy myself one for my birthday, too! Funny, as a life-long stripe lover I just this week had the thought cross my kind for the very first time that I’m sick of stripes! But at the same time another striped rug has caught my eye I realized it’s really the thin white stripe on navy I’m sick of, because I’ve overdosed on it while trying to compensate for stripes I like better but can’t find. As I age and try to dress more elegantly I also don’t feel I can pull off the really bright & crazy contrast combos I loved when I was young. I did see a 70s inspired multicolour turtleneck from JCrew that could be a contender. Lots of great items. Striped shoes – could I have a hole in my shoedrobe?